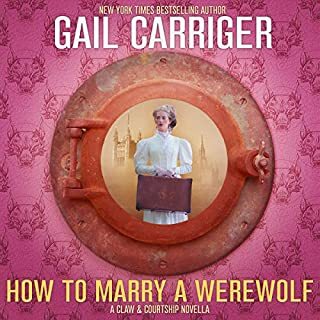 The New York Times best-selling author Gail Carriger, writing as G. L. Carriger, brings her comedic voice to contemporary fiction and m/m romance. Alex, marine biologist and werewolf, has seen better days. Unexpectedly alive, secretly gay, and haunted by a meddlesome, matchmaking ghost, he must now team up with very flirty mermen to save the city from sushi smugglers - and he still can't get a date. 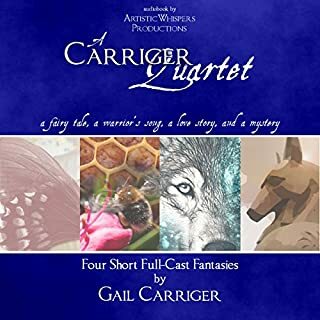 A full cast of science-fiction and fantasy luminaries join together to bring Gail Carriger's short and sweet LGBTQ love story to life with full production audio by ArtisticWhispers Productions and original score by composer Danny Schade. This is the prequel to The Sumage Solution. Delicate sensibilities? 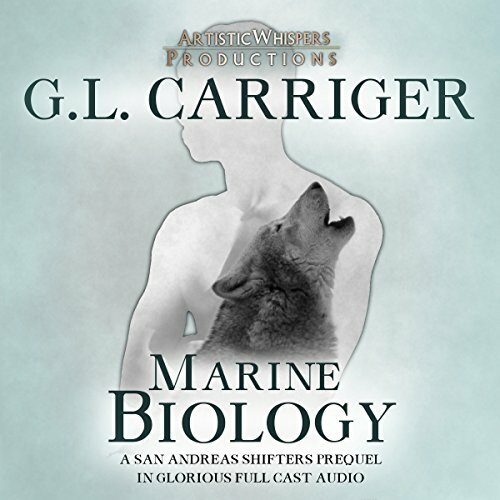 This audiobook contains confused lovelorn werewolves and very pretty ex-Goth mermen who are exclusively interested in each other. May also contain fish, Irish mafia, and a shocking lack of tea. Ok so I liked this book but the pronunciation of “Marin” is wrong throughout (not a hard “a”, it’s m-ah-rin)-considering I live in Marin County, it drove me nuts. It’s seems kinda basic production to make sure the places are pronounced correctly. Having lots of people narrating together didn't work for me. I would have preferred one narrator with the skill to differentiate all the voices. A fab novella, brilliantly brought to life. Highly recommended! 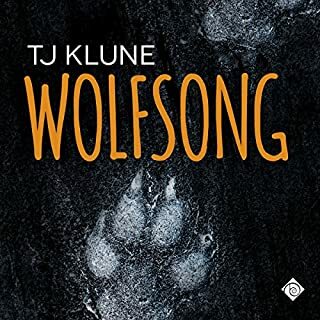 While I'd read the ebook of this story previously, this audiobook version is a full cast recording made by Artistic Whispers, and so literally brought the story to life. I really enjoyed listening to it, and their use of appropriate foley, sound effects and background music really enhanced it. 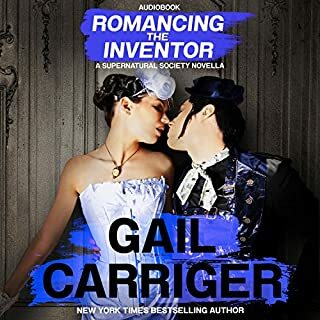 I'd definitely recommend the audiobook to all Gail Carriger lovers (as long as they're OK with M/M relationships) and similar supernatural book lovers. I'm looking forward to listening to the next book in the series. I loved it. As soon as I finished listening to this audiobook, I listened to the book again. I enjoyed the full cast dramatization and the story made me laugh. 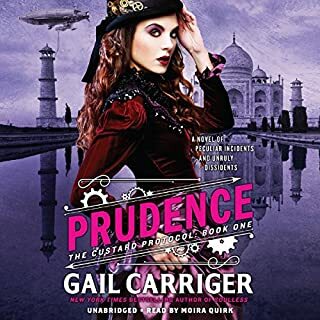 I have most of Gail Carriger’s books in both kindle and audible formats, and enjoy listening to all of them.